Some people quickly decide on what they want to do for the rest of their careers. Others take a more indirect path, sometimes with multiple stages, before finding their true calling. Suzanne Kiihne, a software engineer on the Cisco Meraki Systems Manager team, has had a rich, rewarding, and atypical career journey. She started out as an academic researcher in chemistry, working in labs and presenting her research results at international conferences, before eventually making her way into the programming world by way of iOS development. So that she could stay close to her family while maintaining the work-life balance she valued, Suzanne decided to take her passion for solving complex problems and apply them in a completely new role, as a software engineer at Meraki. Below are some of Kiihne’s thoughts on how she made the transition from molecular structures to Meraki, what it’s like to work here, and how she’s grown in the last two and a half years as a Merakian. You started your career as a chemist, which not too many people in the tech world can say. How did you get started working in chemistry? When I went to college, there weren’t a lot of opportunities in tech. It was the mid-80s, and software engineering was kind of a different thing than it is now. Chemistry was far more interesting to me at the time, so that’s what I pursued. I went through a Ph.D. and then a couple of post-doctorates, and worked in bioinformatics for some time as well. Then, I decided to get married. My husband and I moved from Switzerland to the Netherlands and then to London. All the while, I was trying to figure out what my career path would look like at the same time as I was juggling two kids. Those seem like two very different aspects of your life — your chemistry background and your having children. How did those two pieces come together? When I had my first child, a boy, we were living in the Netherlands. I was advised by the midwives there that I take my son out in the sun for at least 10 minutes every day so that he gets adequate Vitamin D, since not a lot of sunlight hits that part of the continent. I then moved to England and my daughter was born there, so I asked the doctor, “Should I be giving Vitamin D drops or do anything about the sun?” The doctor said, “No, no we’ve never heard anything like that.” So it was like cognitive dissonance — who should I listen to? But then a lightbulb went off in my head. My background is in biochemistry and biophysics. I thought to myself: I am the person on the planet who can solve this problem. I went looking at the research and learned that the amount of sun exposure you got was crucial for your health, but that wasn’t easy to calculate. But something else interesting happened at that time: the iPhone came out. I thought, here’s this thing, it’s a computer that I can carry with me in my pocket. Now, instead of just guessing my sun exposure for the day, I could create an app that would tell me that, and tell me accurately. So I started learning how to program on the iPhone. I found a library that could help me figure out where the sun is in the sky, and I made an app that could actually tell you the intensity of the sun. There were a lot of limitations to what I could do because I didn’t get good integration with weather data, but in the process, I taught myself a lot about iOS development. So your chemistry background eventually helped you transition into tech. Yep. It’s really about using your knowledge in one area and letting that inform something else entirely. One of my first jobs in tech, before Meraki, was at a company that was trying to do 4K video streaming for custom-built hardware, a museum-quality art frame. Though I was on the software side of things, my background in chemistry proved helpful from a hardware standpoint as well. In chemistry, I was always dealing with cutting-edge hardware, and sometimes that meant getting out the screwdriver and soldering. And because this company was making its own custom hardware, I actually ended up setting up a bunch of their hardware testing systems. Once you got your feet wet in the tech world, what led you to Cisco Meraki? Before Meraki, I was at a startup that literally folded overnight. As a parent with children, and being the primary breadwinner for my family, I switched into “I-gotta-do-something” mode and got prepared for doing interviews and reached out to my network. Eventually, I ran into Meraki on LinkedIn and applied. I really enjoyed the interview process — that was actually really fun. The people I talked to were very smart and very thoughtful and had put a lot of time into the process. They weren’t just asking me iOS questions; they were thinking more broadly about how I could contribute across the business. Based on those conversations, I thought I could move around and learn different technologies as I wanted to grow. It also helped that my recruiter gave me the feeling that she actually cared about me, which was wonderful and different. Many candidates think of Meraki as just a networking company, since we’re part of Cisco. You work on Systems Manager, our endpoint management solution. What’s it like working on a non-networking product at Meraki? A lot of the problems that we deal with day-to-day aren’t related to networking at all. What is the user experience for setting something for a particular user workflow? You don’t need to know any networking at all to answer those problems. On the other hand, with Systems Manager, we do have some networking integrations, and those have been some of the more interesting things I’ve learned. So it’s a good mix of both — I get opportunities to learn about networking, but my job isn’t defined by working at a networking company. Have you been able to move around to different projects during your time here? Yeah, definitely. I came on as a full-stack and iOS engineer. Over time, I’ve not only taken charge of the Systems Manager iOS app, but I’ve also learned more about networking and worked on Sentry Group Policies, which is a set of features that help enhance security by integrating Systems Manager with the network. To do that, I had to dig deep into some old code and hone my skills at reading code, at reaching out to people, at developing new skills in programming — basically, doing things that I had not done before. Through that process, I’ve managed to broaden my engineering skills. What is your day-to-day like? What frameworks and tools do you use? What are the primary teams you work with? Since Systems Manager interfaces with a lot of other projects and products at Meraki, I get to work with a wide range of people. I usually deal with the infrastructure team — if I have a scaling issue, I deal with the Backend Team that keeps our databases running as well as they can. If I have a design issue or I’m trying to roll out an MVP [minimum viable product] and get feedback on that, I’ll deal with the UX team and the product team as well. And then as I work through the next set of things I’ve been working on, I’ve been meeting frequently with people from some of the other product teams, from MR to MS to MX to MV. So really, I get to work with nearly every technical team. How would you say your team has helped sharpen your technical skills? My team, and my manager in particular, has helped me by giving me hard problems and expecting me to solve them — they’ve set a high bar. Code reviews have also improved my technical knowledge. When I have a problem and I don’t know how to solve it, they show me how to solve it in a useful way, a better way. My teammates show me how to use the tools better so I can solve the next problem myself. If someone were in the same shoes you were in a couple of years ago, as a mother looking to work in the tech industry, what would you say to them? “You can do this.” I would say that is the single most important piece of advice you need. The culture around us is sometimes really hard to work with. It can be very hard to believe in ourselves as mothers, as parents, as someone who is alone at home with the kids. But yes, you can do this. Cisco Meraki is on the hunt for engineers with a broad range of backgrounds and experiences. If you’re hungry to grow your career and do meaningful work, we’d love to meet you. 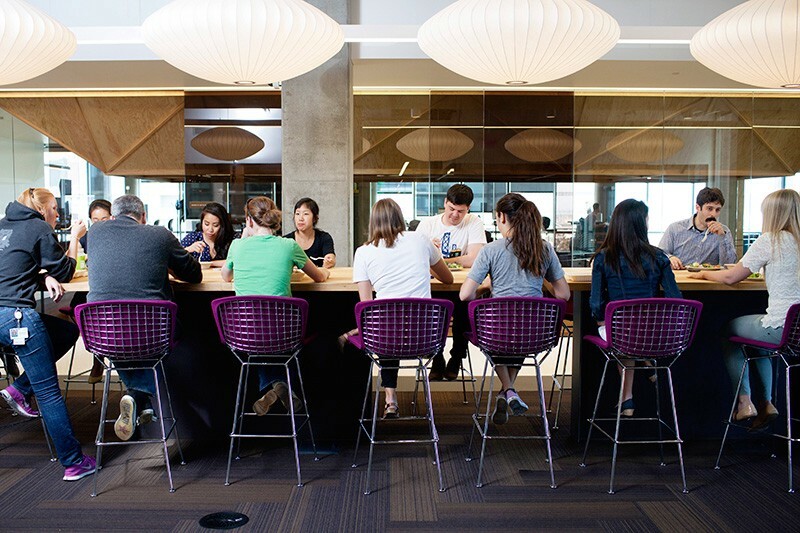 Please visit our jobs page for the latest opportunities at Meraki!